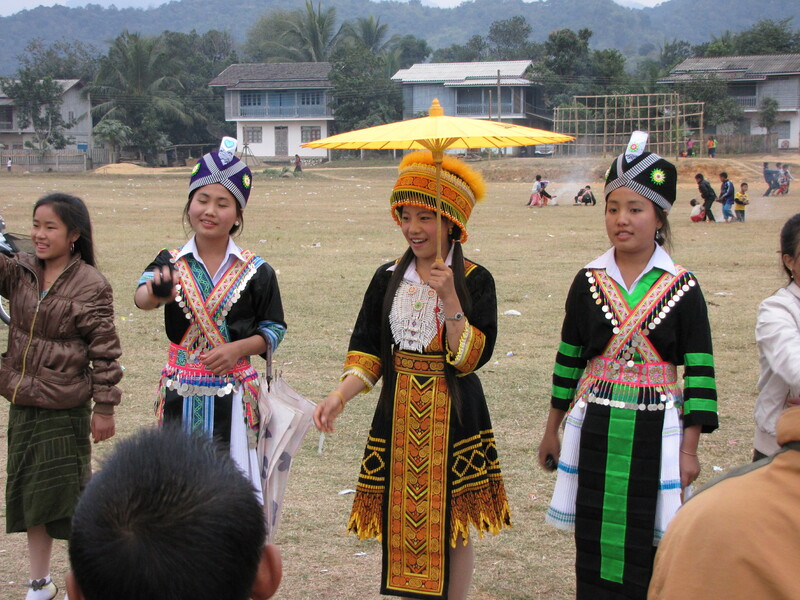 Reaching the playing fields in Sam Tai town, I realised this was a Hmong town, as the New Year courting game was in full swing. 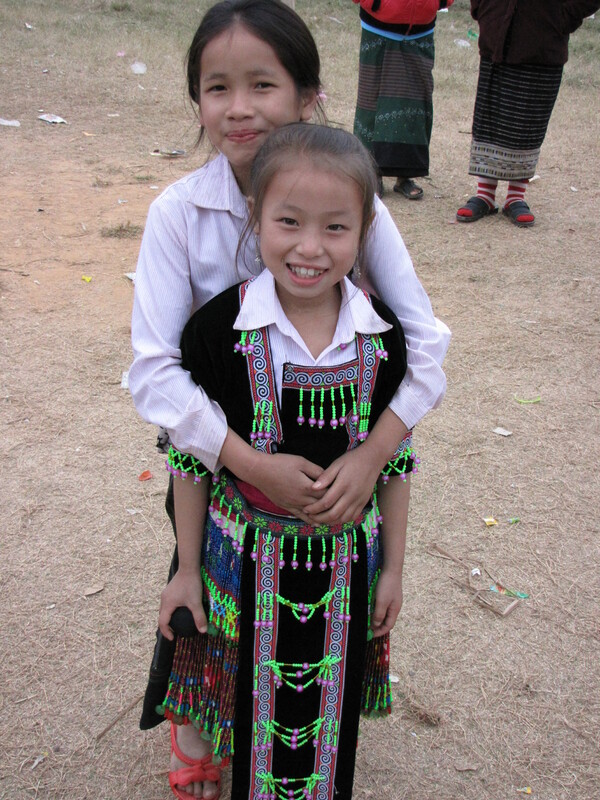 Here it was being played by all ages, and in groups: the eligible young men & women, the preteens, the primary children, and there were even some preschoolers all dressed up, but they were running around everyone else. And there was a group of middle-aged women watching and smiling, probably vitally interested in any romantic developments happening in the first group. 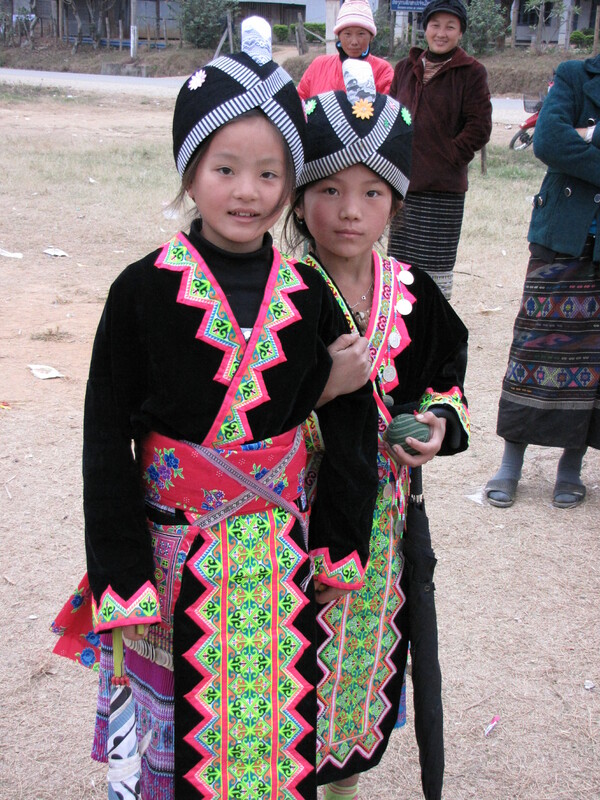 This entry was posted in Laos and tagged Asia, costume, Hmong, Laos, Sam Tai, Textile by Wendy Garrity. Bookmark the permalink.